The Fan is graced with abundant tree foliage and diverse parks and alleys that contribute to the beauty and vitality of our neighborhood. The Trees and Parks Committee partners with residents, the City of Richmond, and VCU to keep our parks and alleys looking beautiful. 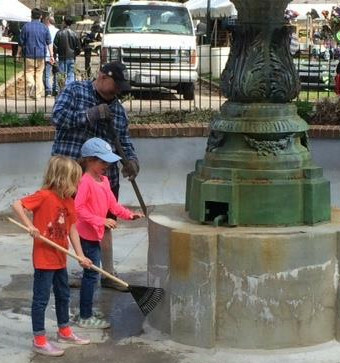 The Committee holds several events a year, including Adopt-A-Tree Programs, coordinated park gardening, and alley cleanups. It's a never-ending job, and takes a community to keep up. Help is always needed and encouraged! Interested in doing some Fan gardening? Complete the FDA Trees & Parks Committee Questionnaire and come join in on the fun! 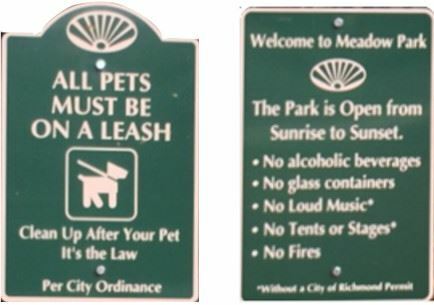 Whether out for a walk, or enjoying one of our great parks, be a good neighbor and follow the rules! While you think your pup is harmless, the sight of an unleashed dog can truly frighten a neighbor that hasn’t grown up with dogs or has had a bad experience. It’s also against the law. Violations are a Class 4 misdemeanor punishable by up to a $250 fine. Are panhandling, sleeping on benches, etc. legal? No. Fan living has its rewards and challenges. See Tips for Handling Vagrancy, as well as the related Vagrancy City Ordinances. Violators may be banned from city parks. Richmond’s trained, volunteer Tree Stewards are here to assist with the care of the urban forest, assist groups with planning and planting, and provide community education. Contact Janine Lester with questions, the City Arborist for The Fan. See the city’s Public Works - Urban Forestry website to learn more about the general Adopt-a-Tree program. You may also wish to contact the Richmond Tree Stewards, another local organization that provides advice and hands-on help with trees. Fan residents are invited to participate each summer in the Adopt-A-Tree program for those empty tree wells in front of or near their homes. Trees are planted in November through the end of April. Since the beginning of the program, The Fan district has added over 500 trees to its urban forest. See the FDA Alley Improvement and Alternative Pathway Plan. 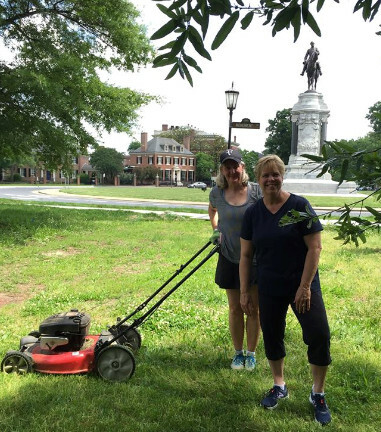 Contact us to volunteer with park gardening and clean-up.